Closed Circuit Television is used by homeowners, companies and public authorities and security services to protect property and keep members of the public safe. 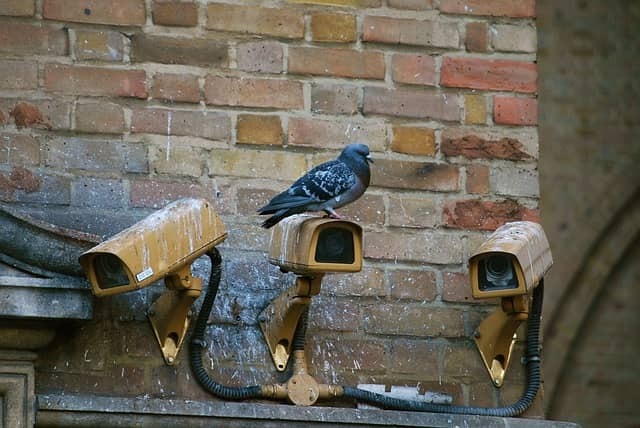 However, as CCTV records images 24/7 it literally captures everything – including some extremely funny moments. From innocent accidents to what pets get up to when they think nobody is looking, CCTV footage can give us some great laughs. Here’s a roundup of some of the funniest moments ever caught on CCTV. A father asks his teenage son to wash his beloved car, and then checks the CCTV footage to see if he took it for a spin – what he found was incredible! We all like to make chores more fun, but you’ve never seen somebody dance around while washing a car like this. The Daily Mail covered the story when the father posted the video online and it went viral. It looks like Santa has been out on the town, because he’s completely sloshed in this CCTV clip. Our favourite bit is when he falls over, smacking his head on a car but manages to put his hat back on straight away. It’s part of Slapped Ham TV’s most hilarious CCTV footage ever taken – watch the top 10 on YouTube. When you install CCTV in your home or business, you get a security feature with the added bonus of possible funny footage! Post your clip online and it could even go viral. Have you ever watched back your footage and howled with laughter? Share your clips with us!